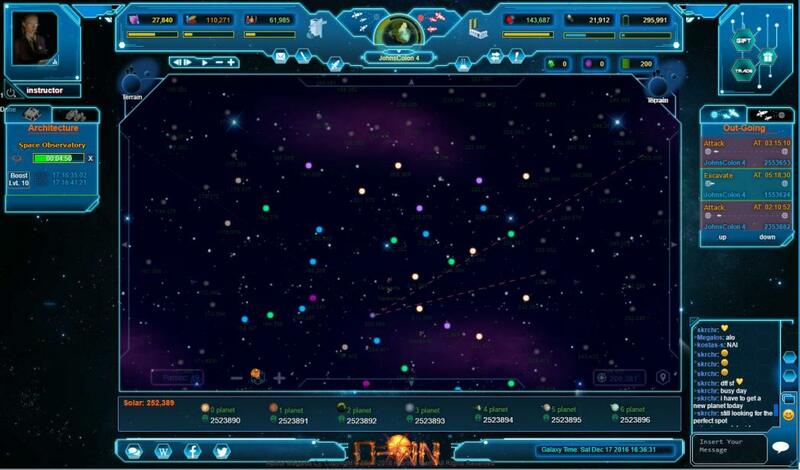 O-WN is a free to play 2.5D browser MMORTS which unfolds in outer space after mankind's' flee from Earth. Great strategies, strong alliances, epic battles and galaxy to explore are few things of the player activities. The HiQroup Team consists of a group of gamers, scattered around the world specialised in developing, graphic designing and marketing, with the aim to create a whole new, different video game.Our venture started after our acquaintance through our love for video games and when we realised a common goal: To create our O-WN game!The idea grew into us, just as it happened with our team which was converted to a group with many members, who work with enthusiasm, commitment and consistency to achieve its main goal.That goal, ain't no other but the creation of a game that takes its users to a whole new world in which they have the chance to live unique experiences, create strong bonds but also compete with each other.The result is O-WN, a new strategy game with much depth, which takes us into the future and intergalactic experiences combined with all these features we and you want and expecting in a video game. In a universe with many secrets that unfold over time… In a universe that rewards you in one moment, only to threaten you with extinction in the very next second, everything is possible to change in the blink of an eye…..
O-WN has four (4) races x 3 classes. Yeenos is the first available race of the game while the other three races will be revealed as the game progresses and humankind takes over the universe. O-WN players have at their possession detailed guidance (in-game tutorials) and also plenty archives (documentation, wiki, forum, support) which helps them to learn and develop their first colony (estimated time being less than one hour), and also their first steps in the exploration of the universe. Also, O-WN is giving the chance to its users through the forum, to have their own opinion and suggest themselves improvements and features they would like to see and experience into the game in order to make the experience more intense and riveting, making O-WN OUR OWN - YOURS favorite video game. The O-WN game is available in four languages: English, German, Greek and Russian. We aim to move into more languages in the future. List of main game features. • 2 Races: Yeenos (3 classes) and Lympous(NPC). • More than 30 different 3d buildings. • More than 20 kinds of spaceships. • more 100 thousand stars and millions of planets to colonize. • Ability of developing large network of colonies. • Ability of armada production. • 90 different kind of planets to colonize. Direct talk with the game developers. Some giveaway events running for press release sites readers with a decent amount of keys for our closed beta 3.